In fact, Roland holds the record for the most “sales” for a single day, month, and year. Apparently, on his birthday last year, patrons allegedly spent 10 million yen on him in just three hours. Birthdays are, of course, when clients spend the most money on their favorite host, but Roland has also been able to rack up as much as 42 million yen in an ordinary month. 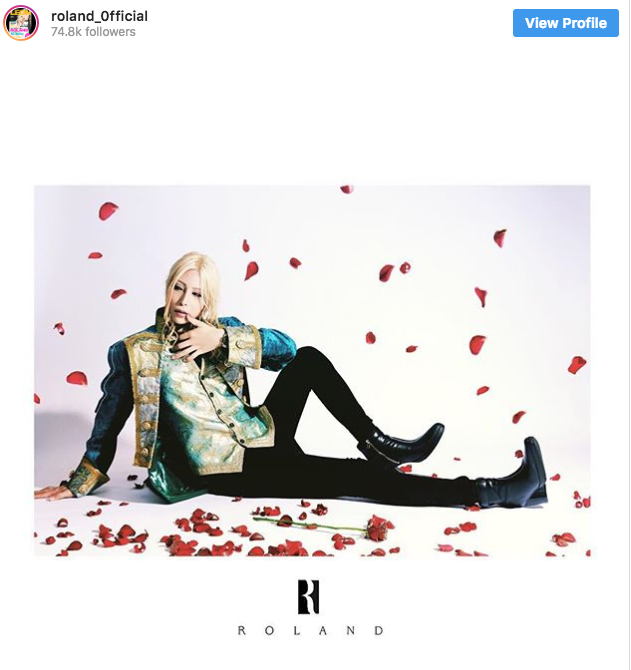 As such, Roland is said to be the highest-paid host in Kabukicho, and of course he uses that money to live a life of luxury. He apparently owns several expensive cars, including a Porsche, and wears only the most high-end clothes. He also lives out of hotels, not because he can’t afford a home, but because it "suits his lifestyle better." He has also had cosmetic surgery, and he’s not ashamed to admit it. He’s spent around 10 million yen to make adjustments to his face, and says he spends about 200,000 yen to maintain it every month, and for good reason. His income apparently doubled after he got the procedures done! -- What happens when a single woman joins a Japanese host club bus tour around Tokyo? Looks quite feminine. I guess unthreatening to customers. and probably really intelligent and great conversationalist. So much criticism about the looks of a guy who probably gets more female attention than any poster on this site has ever, or will ever, receive in their entire lives. Seems like he's doing something right. As for his looks, there's always been a market for androgynous-looking blokes - Bowie, Prince, Bruno Mars, Jagger or our very own Hanyu & Yoshiki come to mind. Same thing with athletic and/or boyish/garconne-style women - tall, slim, short-hair, flat-chested, chiselled cheekbones etc. Still remember being mesmerized by Linda Evangelista, Milla Jojovich & Mariska Hargitay in the early 90s! Some of the Takarazuka revue girls are pretty hot too (Yuki Amami). Roland makes 42 million yen a month pouring drinks, spending 200,000 of that on plastic surgery in some imaginary world of flirtation, and yet no one's allowed to criticize the guy? totally agree. Sure, he looks like a girl and has the body of one, but he sure knows how to use it! People are allowed to criticize anyone they want. That's why I'm criticizing those who would criticize a guy who is more successful than the overwhelming majority of people posting on this site. I haven't told anyone they're not allowed to criticize this guy. If you are curious as to how the host business works, watch the brilliant documentary "The Great Happiness Space: Tale of an Osaka Love Thief". See the part in particular where they describe how many female customers at host bars become prostitutes so that they can shower their favourite host with money to get him up the rankings. Its like someone buying fifty copies of an AKB single for voter slips for the AKB election, only a million times worse. No host makes 10 million yen in three hours from office ladies on regular salaries. They're either prostitutes or are frittering away the family fortune as in Hogarth's Rake's Progress. As for what the guy looks like, that is neither here nor there. In these decadent times, I can't say I'm impressed by a Porsche though. That is inaka shacho level. The number 1 host in Tokyo should have a Lambo or Ferrari, possibly even a Veyron. He does? I love women, but he is way to masculine for my tastes. If you are curious as to how the host business works, watch the brilliant documentary "The Great Happiness Space: Tale of an Osaka Love Thief". See the part in particular where they describe how many female customers at host bars become prostitutes so that they can shower their favourite host with money to get him up the rankings. I watched that movie (well worth a watch), but I don't recall what you are saying her as being in the movie. I do remember that the majority of customers were hostesses, but not that they became hostesses for that purpose. Not a fan of the final fantasy look but good for him. Being a host aint easy. Have to talk a LOT, be ABLE to talk, convince girls to drop more cash on drinks, drink until early morning every day, even with girls you dont want to drink with. It is not well known, but a large percentage of hosts in Kabukicho are actually gay men (I'm not implying anything about Roland). Thay are used because they do not have a taste in women, and treat all women equally. Also not well known until recently, many of the hosts in the gay town in Shinjuku are straight men because they have no taste in men, and treat all men equally. Women have learned this over the years, and now flock to the gay town because the hosts are much cheaper than Kabukicho hosts (as shown by this article, Kabukicho hosts can be expensive). Roland if you got it, whatever it is, flaunt it! He makes more than doctors, lawyers or CEOs. The only Roland I ever knew was a fellow pizza delivery guy in Florida when I was in high school. He was about 35, homely, drove a nice Toyota 4Runner and lived with his Dad near the beach. He was a decent guy. Go Roland.